North Tahoe School students ventured out into the Martis Valley this year to study the area and the impact humans have on it. This fall, as part of Mrs. Fagnani’s and Mrs. Karwowski’s sixth-grade science classes, students from North Tahoe Middle School created their own research projects on how human impacts are affecting Martis Valley. These projects were completed though partnerships with several local organizations, including the Truckee Donner Land Trust, who protected Waddle Ranch Preserve in Martis valley, and Headwaters Science Institute, whose instructors guided students through the program. 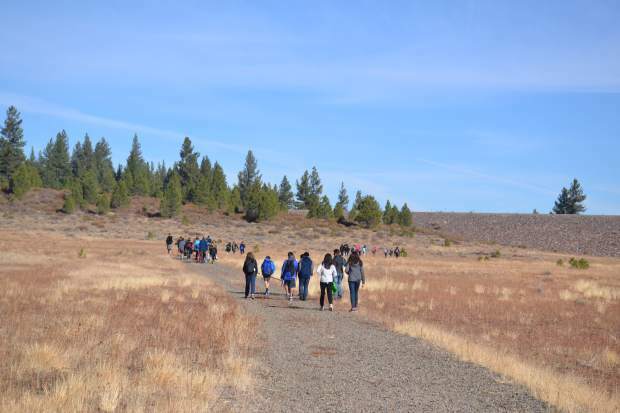 During this program, students creating their own original research questions about human impacts on the Martis Valley in the classroom, then they went to the Waddle Ranch Preserve for a full day field trip to collect data in order to test their hypothesis. Back in the classroom, students analyzed their data and created scientific posters about their research. Students worked in groups to assess several different manmade factors affecting the lake. Some projects included: a study of whether areas with increased human traffic had more invasive species; a survey of how the Martis Valley dam may have impacted nearby stream channels; and how water availability affects the types of vegetation growing in different parts of the valley. One group studied a restored area in a nearby creek to learn how vegetation coverage in the creek bed affects the amount of sediment transported downstream. A group of these students presented their findings with the public at the Truckee–North Lake Tahoe S.T.E.A.M. Fair. 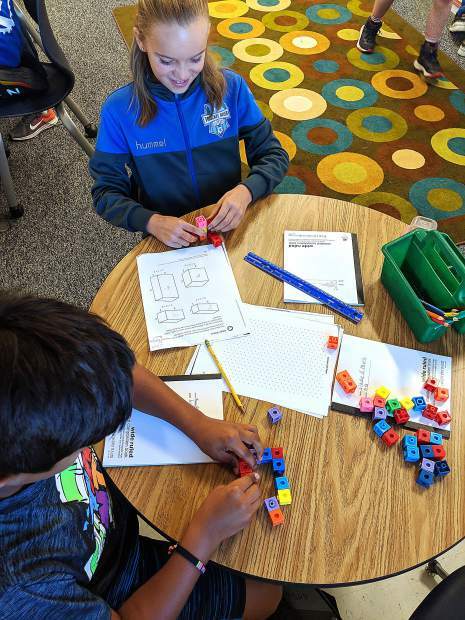 This program was funded by the Truckee Tahoe Unified School District, Martis Camp Fund, Tahoe Truckee Community Foundation, Tahoe Donner Giving Fund and Truckee Tahoe Airport Foundation. The second half of this program, in which the Alder Creek Middle School will conduct research projects about the ecology of Martis Valley, is scheduled to be completed in June of 2017. This article was provided by Headwaters Science Institute, a Truckee-area education nonprofit. Visit headwatersscienceinstitute.org to learn more.